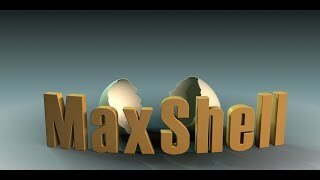 MaxShell is a MaxScript for Autodesk® 3ds Max®. MaxShell creates an inner shell which can be used to hollow out the models. It is useful for reducing the volume of the model in case the model is 3D printed. Less volume means less material, faster printing, and less cost. It can also be useful where the usual shell modifier does not work well, such as for organic models. Or it can be used to create vases and anything that needs to be hollow.